Office Immobilier de la Plagne - Plagne Bellecôte (Estate Agents). 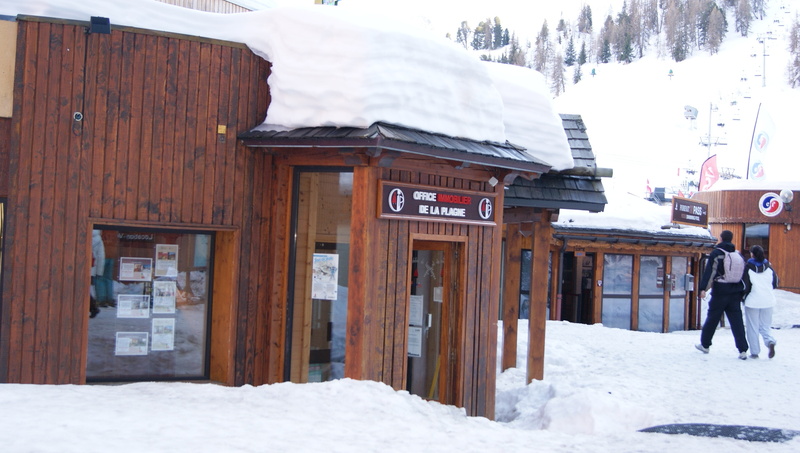 Office Immobilier de La Plagne Estate Agency in Plagne Bellecote offers "all inclusive " : accommodation with ski passes, ski lessons ski equipment and linen at attractive prices. The agency offers a wide range of accommodation renovated from 2 to 12 people..
Book your apartment at 1930m altitude, at the foot of the slopes and close to the shops of the Grand Amphitheater Plagne Bellecote. You can also enjoy the swimming pool, ice rink, cinema and many other shops. Arrival possible on Saturday, Sunday and possibility of short stays. Swimming pool access included for part of the renovated apartments in St Jacques and in the residences Carroley A, B and the Glaciers.